Controlling. An action of fear. Freedom of expression must be respected! Conformity to one’s thoughts must not be obligated from one who thinks otherwise! and make you just a blind follower of it! 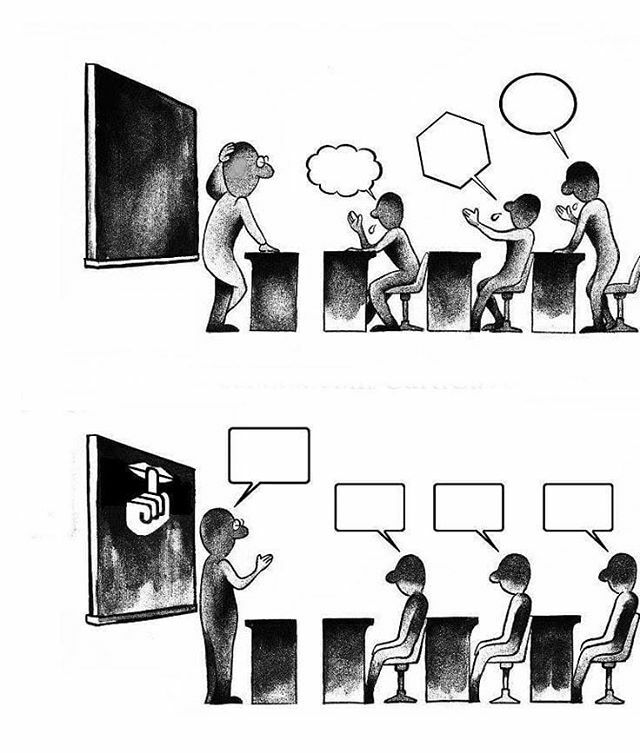 The students should be the center of learning, let them express the idea in their mind. they pay attention & listen to what they are taught in class ! If you listen to what they think. Not stand talk and let them sit and gawk!